Helen O'Grady International aims to keep Shakespeare alive through a musical pantomime. 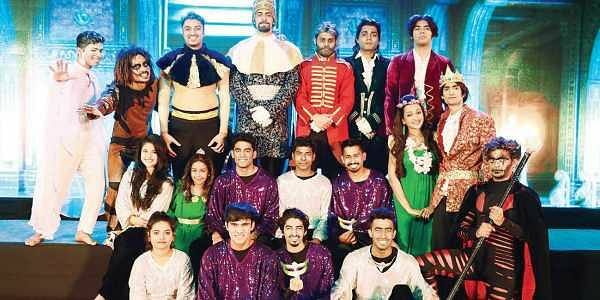 A team of 21 artistes from the academy will debut in the city on October 27 with The Tempest. CHENNAI: While Romeo and Juliet, Julius Caeser, Macbeth, Merchant of Venice, King Lear and others have taken different avatars as straight plays, stories, essays etc, in school text books for several years, there are some experts who opine that William Shakespeare is slowly disappearing from the academic curriculum. That's one of the reasons why the Helen O’Grady (HoG) International —The EduDrama Academy, under Arpita Mittal’s leadership came out with a Broadway musical pantomime in 2015. They adapted The Tempest, considered the bard's last play, into a mime and performed it 32 times. The same team of 21 artistes will be debuting in Chennai on October 27. They got Bollywood mime artiste K Paintal on board who at first was surprised by this idea. “When I explained the screenplay to him he was intrigued as it was something new,” she adds. The hour-long play uses music, dance, and recorded soliloquies. The team believes that all Shakespearean plays are relevant even today. “It is beautiful how he was able to envisage internal feelings of betrayal, love, trust and honesty...what we see in his plays are a part of real life,” says Archana. Pipes in Arpita: “Most of the Hollywood and Bollywood films we see have roots in Shakespearean drama.” It is the 450th year of Shakespeare and the team feels this will be a fitting tribute to a poet and playwright. The Tempest has been performed in eight cities including Ooty, Nagpur, Varanasi and Chandigarh. “The play will be appreciated by students of classes 7 and above. We have been visiting schools in the city to invite them to watch the play. Most of the ICSE schools have agreed and their class 11 and 12 has The Tempest as part of their syllabus. This play will help them understand,” explains Archana Though Arpita had done a thesis on this play, it took her around two months to write the screenplay. “When we started doing the rehearsals, the script evolved some more,” she laughs. All actors in the play are based out of Mumbai. “They all came for a workshop and they were a lively bunch. We wanted to take it forward and thus The Tempest took shape,” shares Archana. They underwent five to six months of rigorous training under Paintal. “The challenge was to get their body language right as they have to convey everything through their bodies. It was a mixed group of amateurs and professionals,” shares Nutan Raj, production head. The production has been received well. "Many schools want to partner with us and conduct workshops. Some have also started looking at classic English plays for their school annual days and that makes us feel good,” smiles Archana. Now that they have reached out to many private schools, what about kids in Government schools? “We have approached sponsors to help us put up the production for them. We have also written to the Corporation Education Department to help us bring this to Government schools,” she avers. The team now aims to take part in the Shakespeare School Fest that is expected to come to India. They are planning to stage the performance in Coimbatore and Tiruchy soon. Helen O’Grady conducts theatre workshops in schools. They have a 30-hour session, which is one hour for 30 weeks. Students are taught voice modulation, body language, and improvisation. As a promotion for the play, the team is open to conducting theatre workshops on The Tempest, where students can learn how Shakespeare perceived each character. “The students will also come out with their own screenplay by asking them to get into Shakespere’s shoes,” says Archana. Mime is a new genre to our stage and we have been working with Paintal. He is a disciplinarian and helped us learn a lot. I play Prospero, the Duke of Milan, a positive protagonist. He is a magician and I have a lot of interesting things to do. As an independent theatre artiste, I am attracted to Prospero’s quality to stand up for himself and others. It taught me that when you think positive, everything is positive. While most of the members in the team have a theatre background, I have just done school and college plays. When I joined the team, it was just a bunch of guys and me. The experience has been wonderful, as this is my first commercial stage play. I play Miranda, a princess who is banished from the castle and lives on an island and has two friends. She is delicate and I feel I am so much like her.